They perform in many different languages including Cree, Creek-Seminole, Cherokee, Paiute, Dakota, English, French, Lakota, Osage, Pima, Polish, Spanish, and more. 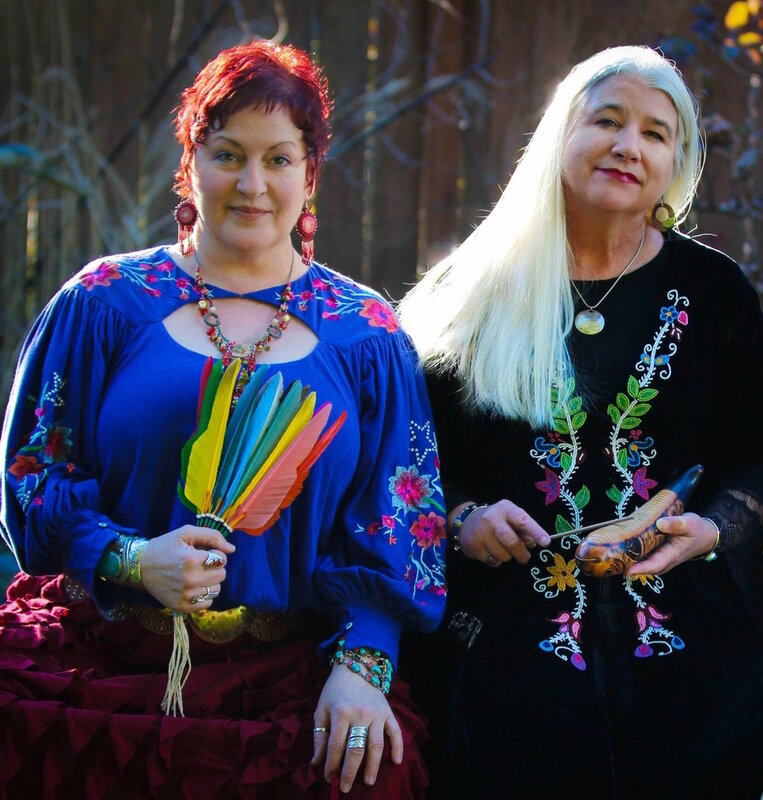 Both singer-musicians were raised on the prairies of Kansas (Mel: Polish-German-American) and Oklahoma (Karen: Osage Nation), and in the midst of well-established and varied music careers, were brought together to collaborate on a small project in Portland, OR in early 2000...melding Native American Songs with contemporary musical arrangements. They reunited in 2016, in a trio (Cedar Rose), and in June of 2018, they formed The Prairie Blossoms, and immediately began work on a number of recording projects. Their first, "Till the Star Rises Here" is set for release in February 2019.